Fix Generic PnP Monitor Driver Issue. Easily! 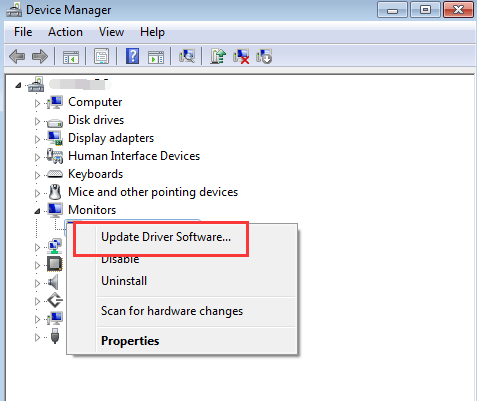 Monitor driver missing issue would occur after you upgrade to Windows new version or perform Windows update. 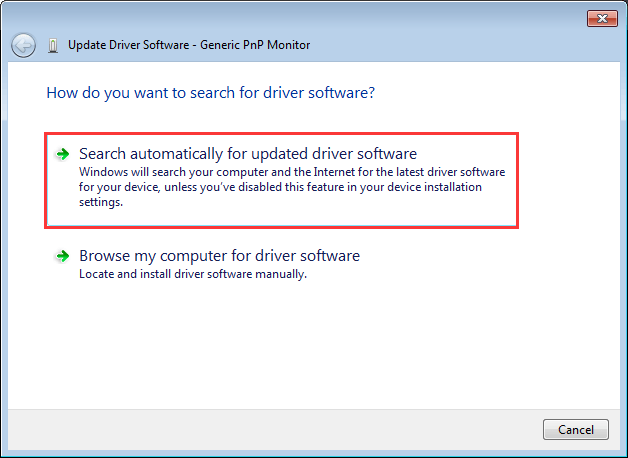 You can check for the driver status in Device Manager. 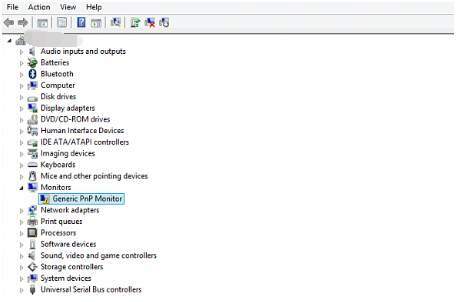 If the driver is not installed successfully, the device name will be displayed as Generic PnP Monitor with a yellow mark next to it. To fix the problem, just update the driver. Here you will learn 2 ways on how to update the driver easily. Apply to Windows 10, 7, 8, 8.1, XP & Vista. 1. 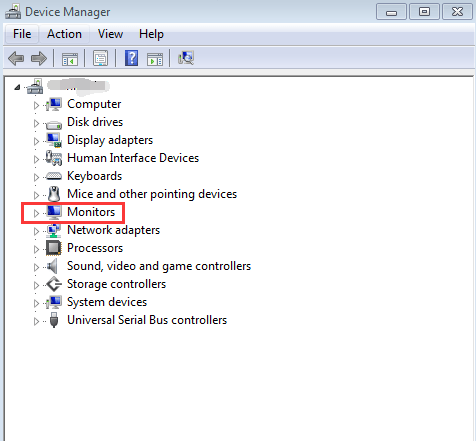 In Device Manager, expand category Montiors. 2. 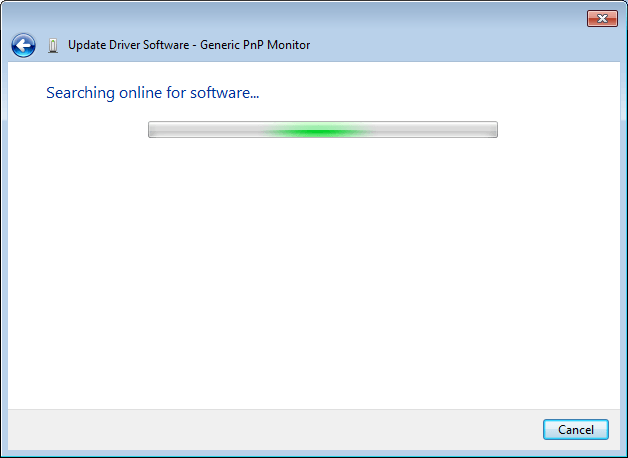 Right-click on Generic PnP Monitor and select Update Driver Software… from the pop-up menu. Then Windows will search the driver for you. Note that Windows may fail to provide the driver. 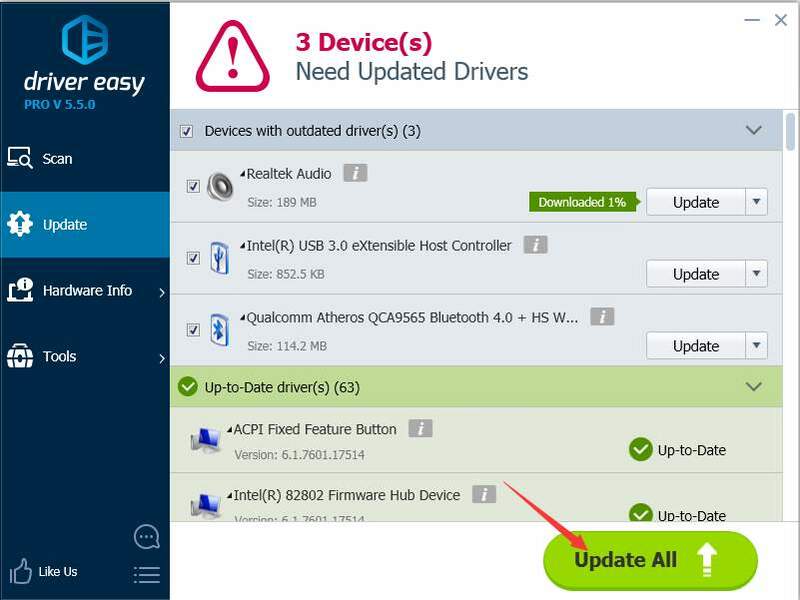 Driver Easy is a driver update tool which can scan your computer and detect all problem drivers. Then give you a list of new drivers. All this will complete within 20 seconds. It has Free version and Professional version. Both versions can be used to download drivers automatically. But with Professional version, you can even update all drivers with just 2 clicks. No time is wasted. 1. Click Scan Now button. Driver Easy will detect all problem drivers. 2. Click Update All button. Then all drivers will be downloaded in a high download speed and installed automatically. More importantly, with Professional version, you will enjoy Free technical support guarantee and money-back guarantee. You can ask for further assistance regarding the Generic PnP driver issue. And you can ask for a full refund for any reason.